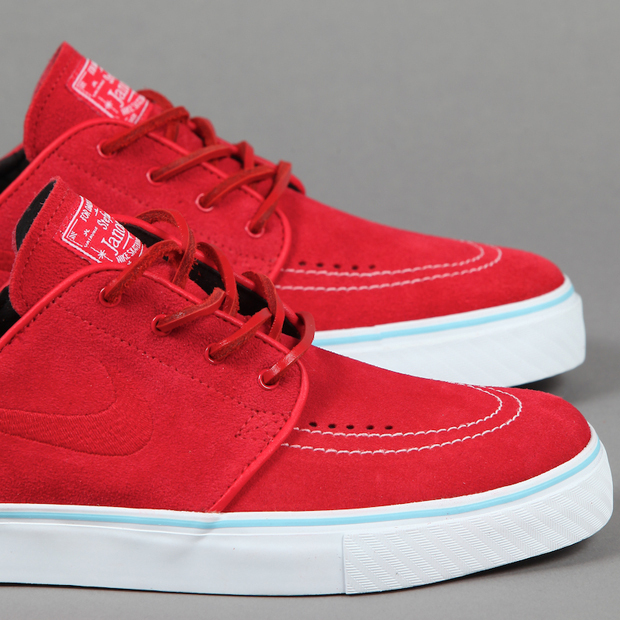 Janoski’s seem to one of the more favourable silheoutte’s from Nike’s SB range. 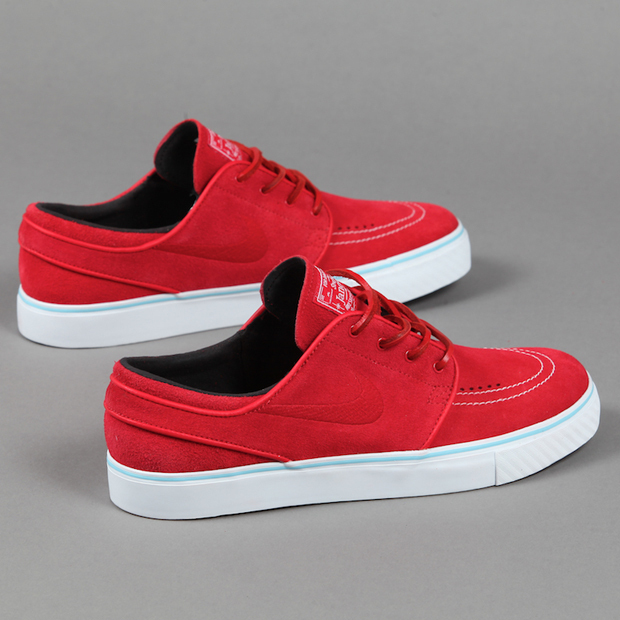 Every release in 2010 seemed to hit the mark, with the ‘Tiffany’ influenced colour-up being a particular highlight. 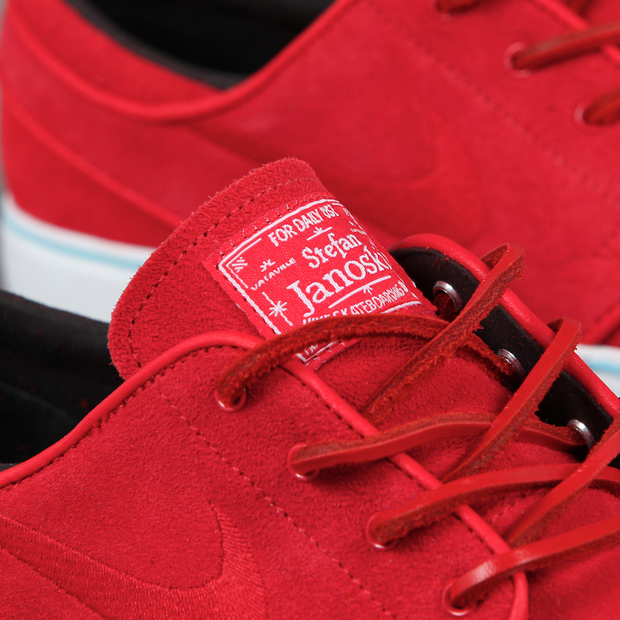 This new make-up utilises the familiar ‘Sport Red’, adding more quality to the already respectable Stefan Janoski line. 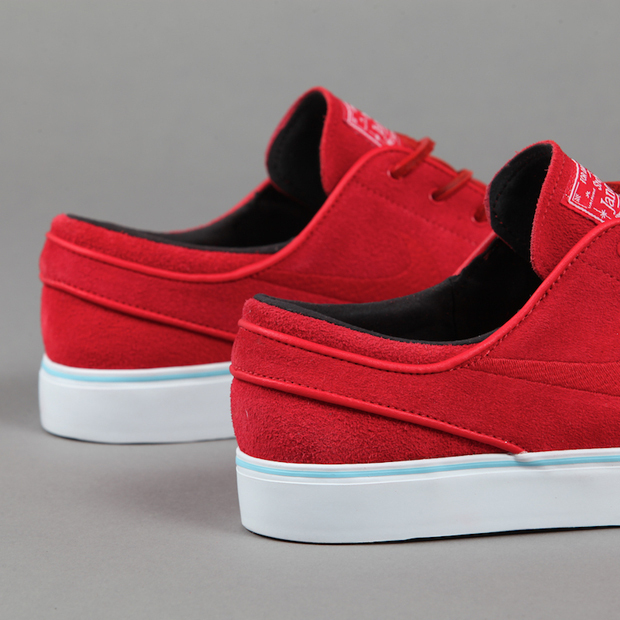 The upper is constructed using suede, which looks excellent, with leather laces and white toe stitch detailing. 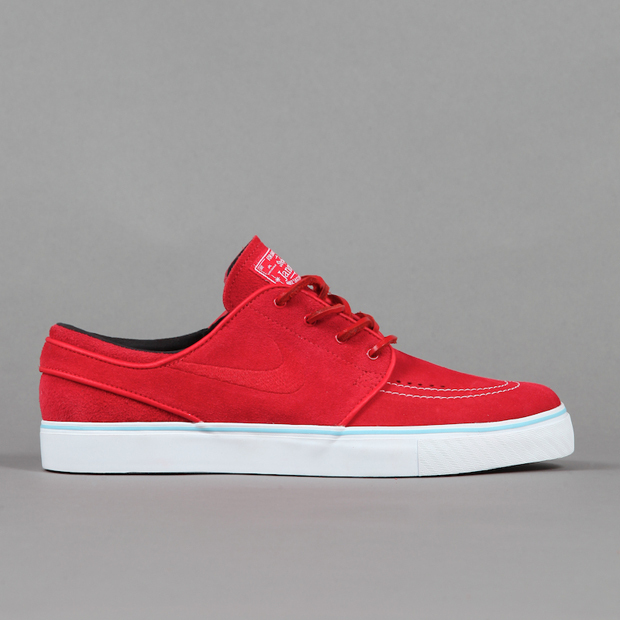 The sport red takes centre stage which radiates vibrancy and will be turning a few heads, keep them on ice for a couple more months and they’ll go down a treat… That aqua trim on the pure white outsole finishes things off nicely and takes the vibrancy further, while also staying subtle. It reminds me of a certain toothpaste brand, ‘Aquafresh’ indeed… (Sorry I had too). These are off the richter.